Today we are releasing our newest course entitled, Depression: Lifting the Veil. Depression goes much deeper than just occasional feelings of sadness. We all go through ups and downs in our mood and sadness is a normal reaction to life’s struggles, setbacks and disappointments. We hear people use the word “depression” to explain these kinds of feelings, but clinical depression is a serious illness that disrupts every aspect of a person’s day-to-day life. It interferes with work, study, eating habits, sleeping patterns and social life. Physical health can start to deteriorate. Depression sufferers can experience the intense waves of sadness for weeks, months, and years at a time. The feelings of helplessness, hopelessness, and worthlessness are intense and unrelenting, and the person gets very little to no relief. 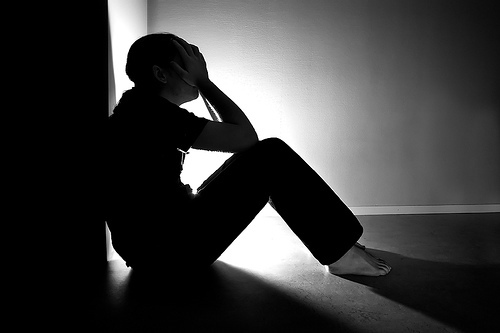 Depressed mood most of the day, nearly every day, such as feeling sad, empty or tearful. Diminished interest or feeling, having no pleasure in all, or almost all, activities most of the day, nearly every day. Significant weight loss when not dieting, weight gain, decrease or increase in appetite nearly every day. Insomnia or increased desire to sleep nearly every day. Either restlessness or slowed behavior that can be observed by others. Feelings of worthlessness, or excessive or inappropriate guilt nearly every day. Trouble making decisions, or trouble thinking or concentrating nearly every day. Recurrent thoughts of death or suicide, or a suicide attempt. If left untreated depression can be life-threatening, but with a careful balance of medication, counseling, lifestyle, diet modifications and social support, people are winning the battle. There will still be depressed days, but in time, the person will learn the coping skills necessary to regain their ability to function and enjoy life. WHO IS VULNERABLE TO COMPASSION FATIGUE? I need 22 continuing education for CNA by 2/14/2014. Looking for possible courses, “face to face”, classroom courses. Do the video courses count as classroom units?